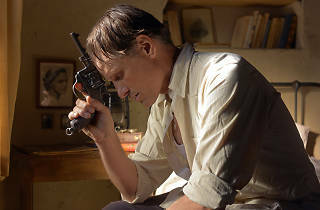 French director David Oelhoffen’s ‘Far From Men’ – an adaptation of a short story, ‘The Guest’, by French-Algerian philosopher Albert Camus – is an intelligent, slow-burning western with an atmospheric score by Nick Cave and Warren Ellis, and an outstanding performance by Viggo Mortensen. 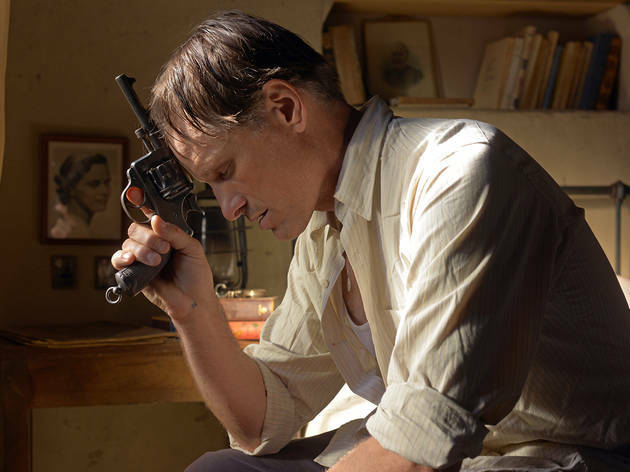 Tough in the Clint Eastwood mould but metrosexually in touch with his emotions, Mortensen plays Daru, a saintly teacher working in Algeria in 1954 at the start of its struggle for independence from the French. Daru teaches kids in a tiny schoolhouse high in the Atlas Mountains, but clearly there’s more to this man. His weathered face looks carved out of the mountains behind the school, and he knows how to handle a gun when French soldiers bring him a local Algerian man, Mohamed (Reda Kateb), who has confessed to killing a cousin in an argument over stolen wheat. Stretched thin fighting the Algerian freedom fighters, the soldiers ask Daru to deliver Mohammad to the court a day’s journey away. Daru refuses on the grounds that he would be walking the arrested man to his death. But when the soldiers leave and Mohamed refuses to run away, he doesn’t have much choice. There are tense scenes, set again stunning landscapes, as the two men stumble first into a vengeful pack of Mohamed’s family on horseback, then a band of guerillas and finally the French army. Philosophically it’s a thoughtful adaptation, finishing with the ultimate existentialist conundrum: a man on a dusty crossroads deciding between life and death. But really this is a character study, a two-hander expertly acted by Mortensen and Kateb (best known for the terrific French cop show ‘Spiral’). At first Mohamed appears to be a passive, pathetic wreck of a man. But as he begins to open up to Daru, his complex predicament emerges. Mortensen is terrific. His post-‘Lord of the Rings’ films have been an idiosyncratic mix. His my-way-or-the-highway approach doesn’t always pay off, but it does here with this engrossing drama.